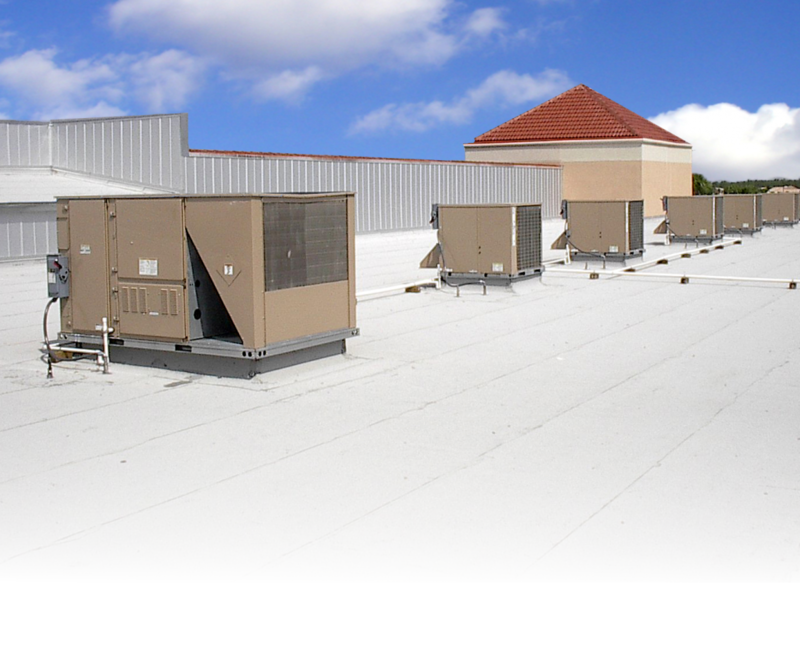 Many commercial building owners end up having to invest in flat roof replacement every ten years. This is because the flat roofing system was installed improperly. Vanguard Roofing Systems provides high quality flat roof replacement that will last for up to 25 years. Professional Commercial Roofers installing the highest quality commercial roofing materials – That is what you can expect from Vanguard. See what Vanguard Roofing can do for your business today. High quality metal gutter systems – strong and durable gutter system is necessary to help avoid potential leaks, which flat roofs are often more prone to. Two-way venting system – The two-way venting system will provide proper ventilation for your commercial building. Custom features – We provide custom prefabricated stacks, custom prefabricated deck sheets, custom prefabricated parapets and custom prefabricated curb flashings to ensure that your flat roof fits together as it should. No warranty exclusions – Many contractors will have exclusions in their flat roof system warranties for ponding water or any consequential damages. Our focus on high quality roofing products means we don’t need to have warranty exclusions. We use comprehensive roof replacement techniques. Our goal, after all, is to provide your building with a flat roof that will last as long as possible. First we will clean your existing roof system as needed, then remove and replace any rotted roof sheathing and rotted fascia. We will even manufacture and install new aluminum AC stands so that they meet code requirements and disconnect and reconnect all AC units if necessary to do so using a licensed AC contractor. We will install a Duro-Last® membrane over the entire roof as well as install new perimeter flashings, Duro-Las®t curb, Duro-Last® boots and a Duro-Last® safety walk-pad around roof access points. We are Duro-Last Elite® Contractors. Invest in quality. Invest in Vanguard Roofing for Flat Roof Replacement for your commercial building. We use the highest quality products from some of the most respected roof product manufacturers in the industry, such as Carlisle® and Duro-Last®. We are proud to have achieved Duro-Last Elite Contractor Status. Contact us today to schedule an inspection and estimate. With our interactive Flat Roofing Decider software, you can choose the materials and accessories that fit your building’s style and your budget. By clicking on the “Go Flat” image, you will be walked through the flat roofing process to customize your roof estimate your way. When you are finished, you can submit your information for a free, customized roofing estimate, based on those choices. This is a FREE, no obligation estimate design tool to help you choose various options in the roofing process and create a custom estimate based on your choices.